T-REX Restaurant at Downtown Disney in Orlando: YouTube Video on the TiggerTravelsDotCom Channel Tigger Travels - Family Adventure Journal Photos From Tigger`s Travels and MORE! 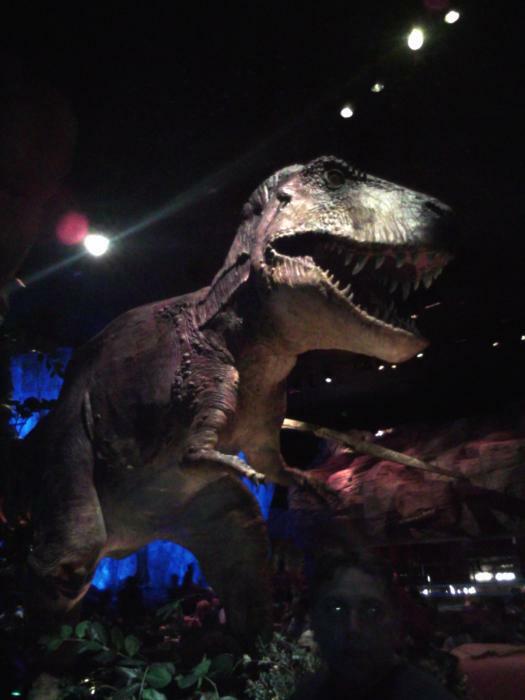 One of our favorite places to stop at when ever we are in Orlando, Florida is the T-REX restaurant in the middle of Downtown Disney which is located inside the Walt Disney World Resort. Not only is the food good but every 15 to 20 minutes there is an exciting simulated meteor shower that gets all the indigenous species on display very excited. Cries of concern from both Dinosaurs and younger children can be expected. It is always fun! !